I met Lisa Begin Kruysman through the Dog Writer’s Association of America. 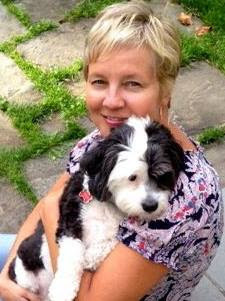 She is an accomplished, award-winning writer who has written five books, 220 blog posts, and manages the Facebook page for National Dog Week. I am excited to welcome her as my first guest contributor as she shares her experience fostering a special dog named Ginger. neglected outright; wandering from home, with no one bothering to look for them, and still others are deliberately dumped on highways, in parks, or outside of overcrowded shelters. Each homeless dog has a unique and moving story; unfortunately, those trying to help them can never truly know what these dogs have been through. Those who rescue just do their best to heal the physical and emotional “baggage” they’ve inherited. rehomed, knowing the others faced a very different fate. I truly miss our conversations; she had so much to offer. Back to that dog named Ginger, an unusual-looking little creature. Because she had been found so matted, her muzzle had been shaved. With her fuzzy copper coat, and pointy nose, she resembled a Red Fox. I felt bad for this little girl who was so torn between wanting to be cuddled, and seeking safety in the back of my closet. Her previous life on the street had gotten her into the practice of sleeping while sitting up, often near our front door ready for a quick escape if needed. She was so desperate for love and affection, but had come to fear its source. My “Foster Coach” Lisa, mentored me through my first foster experience. I took each of Ginger’s adoption applications seriously, wanting her to go to the right home. I found this surprisingly difficult, but just after a few days, Lisa suggested that an older gentleman who lived in town, might just be the perfect match. As the applicant had been “vetted” my job was to make the special delivery. On a cold afternoon in January, Lisa accompanied me for Ginger’s Rehoming Day. Although Ginger had only been with me for just a few days, I was surprised at my emotional response of letting her go. But I found a way to keep my emotions in check. Lisa even mentioned how calm I was, but I felt I had just done my job, I am tough, (and I’m a good “hider”). After saying goodbye to my little friend, I needed some alone time. Instead of going directly home, I took a random ride. The Township in which I reside is sprawling, and my Ginger delivery had brought me to an unfamiliar section of town. In an area of generally flat terrain typical of the Jersey Shore region, I discovered a “hidden” hilly section of my town where gracious homes stood on high points offering beautiful sweeping views of the river and beyond. How could I have lived in a place for almost 17 years and not have ever seen this? Taking in the scenery, I thought about all the displaced pets in the world and those who dedicated themselves to making their lives, and subsequently the lives of humans, better. They did so every day, and I felt honored to share their work with the world. wander off the beaten path more often, I just might find out. Lisa Begin-Kruysman came to writing late-in-life. At age fifty, wanting to author her first book, she sought a topic that fascinated her; that topic was dogs. She thought it would be a nice and easy way to spend her time before she realized that the world of dogs and publishing was far more complex than she first suspected! Using her degree in Psychology, experience as a Human Resources Associate in the entertainment industry and discipline developed working as a self-employed fine artist for over two decades, she persevered and within five years, had written five books and 220 blog posts to-date. In her mission to promote National Dog Week, she maintains a Facebook page dedicated to honoring its 89 year history and sharing its relevance with a new generation. She likes to say the page is growing by “Leaps and Hounds”. When not writing, she enjoys spending time at her home/studio at the Jersey Shore with her husband Rich and foster-to-forever dog, Teddy. Her writing has won awards, including the Maxwell Medallion and the North Shore Animal League America Award granted by the Dog Writers Association of America. Currently, she has several projects that are waiting to be revealed to the world! Please LIKE and follow her Author Page to keep posted on new developments. It's amazing that our furbabies (or temporary furbabies) can lead us exactly where we need to go. Bear changed my life profoundly by leading me in directions I had no idea I needed to heal and live my life. Even more amazing to me … he was a homeless kitten who just crossed my path one day. WOW. That short interaction changed my life … Animals are amazing … and by opening our hearts to them, we also open our hearts to life … so precious … so priceless … so beautiful! I am glad you both found each other. Thanks Mark. I am glad you enjoyed her story. We hear she has done well in her new home! Fostering is such a wonderful thing for these animals that need homes. I sure do admire the people that do the fostering. Thanks for having me on as your first guest poster, Kristin, and for sharing a writer's "lesson" and a foster/adoption success story. As I mentioned in a previous reply, Ginger and her new Dad bonded and she has enjoyed a good life I am told. Maybe I'll get back over to that side of town one day! Fosters are so wonderful and are super, super people!!! Very touching story. Thanks for sharing it! Fostering is fantastic work. It must be so hard to let go of an abused dog, hoping that it is going to the right place. Thanks for your beautiful story, and for raising awareness about fostering. Most people I mention it to have never heard of it, so articles like this will help. I admit I am a foster failure many times over, but I am now on foster #3 in the past 3 months, and I have managed to let them go to their forever homes. Of course they were all young and my heart lies with the oldies, so if one came my way I probably wouldn't let them go. Thanks again for sharing – fostering saves lives!! Ginger found a home in record time! Do you still foster? Yes, that was due to a wonderful networking group. We actually kept our next dog, most know about our little Teddy who will be coming to BlogPaws in May. Like our pets, we humans are often at the mercy of fate, and circumstances brought my husband and I back to the workplace. When I painted and wrote ft from home, it was a perfect situation for fostering. But a storm literally washed that life away. Someday, I'll find my way back to it. Fostering is one of the most amazing things I have ever experienced. We have fostered many dogs over the years and no two journeys are the same. We've had fearful dogs, happy go lucky love everyone dogs, fearful dogs, dog aggressive dogs, sad dogs and a really really emaciated dog. What always blows my mind is their resilience. Once they realize they're safe, you can really see them open up and blossom into this wonderful, loving, grateful creature. We always say that the "first sleep" is the most magical. It's that first night that a foster is out of the shelter and feel safe in their foster home. There's a peacefulness to it that is unparalleled. Sorry to blab.. Great story! Thanks for sharing. Thanks Debbie. When encouraging fostering you bring up a good point. Are there children in the family, what is the scope of your experience dealing with them, etc. A bad experience can hurt these programming. Love the "First Sleep" – I wrote a PB (unpublished) showing "Teddy" accepting his new bed on the first night in his new home (he's not so sure at first). It can get so complex, but I am glad you've enjoyed your experiences. Wonderful article! We've fostered felines and also are great supporters of an organization called Dogs on Deployment (https://www.dogsondeployment.org/ that helps service members find folks to foster their dogs (and cats) while they are deployed. And fostering animals is tax deductible, I'd call that a win-win situation!! We hope to foster some time in near future. Right now we have to take care of our living conditions first. What a wonderful story! We need more of the "good news" stories in today's world!! People always ask how we can let them go… it's never easy, but it means I can help to save another life. Thanks for all the reads and comments. As a blogger, I realize how many posts there are to read and leave comments. I wrote a book for Grades 3-5 titles When We Fostered Furley (Book One of the "A Collar and a Dream" series). It was self-published and is available as a e-book and in softcover. Sarah Parker of Sadie & Co. gave it such a nice review. I am always grateful for these opportunities to share my work with so many. Thank you for all your contributions in the world. Keep up the good work. Lisa Begin-Kruysman for National Dog Week. And of course…one more big shout out of thanks to Kristin Avery for having me in as her First Guest Blogger. May there be many more guests to come and share! Fostering is simultaneously the most challenging and rewarding experience. I only wish I had had a "foster coach" to walk me through letting go of my first foster. It was heart-wrenching to let Rosie go but, thankfully, her new family has stayed in touch and I have been able to see first hand that she is happy, healthy and exactly where she is supposed to be. Helping Rosie find her forever home, made room in my home for my second foster, Piper who ended up being a permanent part of my family. I look forward to fostering again! What a great guest post. The idea of a foster coach is wonderful. And that picture of Ginger is stunning. Thank you! Yes, love the guidance and advice of a seasoned foster "Mom" or just having someone to make inquiries and "vent" if needed. Some people won't foster because they have to give back, but I think this means you make more rom for another cat in need so I am happy always to foster. We do love them all and some just seem to call to you; love the "next" one and you'll always have a love-filled home! Thanks Marjorie! What a great idea to have a foster coach/mentor! That's so important. Great article and thank you for opening your heart. I think just knowing I had back up was helpful because it is a major responsibility taking an unknown pet into your home. Thank you! What a beautiful story. My hope is to have a home large enough to be able to foster some day. Yes. I don't have a fenced in yard for example, so I can't just open the door and let a pup out to run around. Next house, perhaps. Thank you. I've known many people who have successfully fostered and adopted rescued dogs. Last year, when I presented my book When We Fostered Furley to a Fifth Grade audience, I was surprised by the number of students that knew about fostering or were fosters! Thanks. Those who have the ability to foster pets are amazing! Some of the pets that come into a rescue have a lot of baggage in their past and they can be rough around the edges. It takes a lot of love and patience to teach these pets that not all humans are bad. It sounds like Lisa has done a great job! 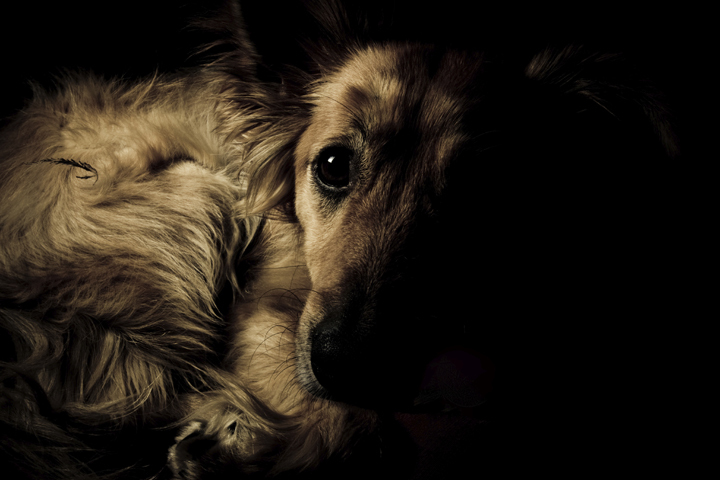 Some dogs, like humans, are a little more complex and have had more difficult life situations. Patience is key, you are right, Robin. Thank you. I have never fostered, but I would love to someday. I think it must be tough to say goodbye but also so incredibly rewarding! It is rewarding to know you gave them a good beginning to go on to their new lives and some family will be very happy somewhere. Thank you. Great story! I love anything to do with fostering a pet, it really does make such a huge difference! wish we could foster but we travel all the time. Our pup comes with us of course but it makes fostering nearly impossible.